Starts on July 27 - Ends on August 24. Sultanganj Deoghar Sawan Mela Starts on 27 July 2010. Sawan mahina (Shravan month) is very auspicious Hindu month. Each and everyday during the Shravana Mas has some significance. The month of Shravan, popularly known as Sawan, is the fifth month of the Hindu calender. Sultangang. Shravani Mela starts in every month of Sawan (Hindi Month). More then 50 lakhs devotees come Sultanganj for take Hoy water of Ganga River. After taking Holy water of Ganga River they go to Baidyanath Dham (Deoghar) by on foot in full month of Sawan . 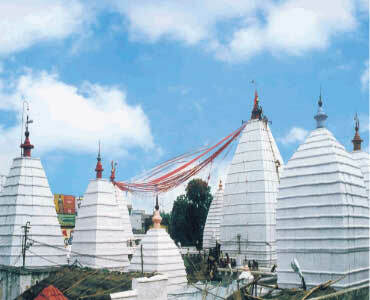 The total distance from Sultanganj to Baidynath Dham is 105 km. by old way and 90 km from new shortcut way . Some devotees runs non stop to Deoghar from Sultanganj and they reach Babadham (Baidyanath Dham) in less then 24 hrs.